For many players, the baseball season doesn't end in October. For young up-and-coming players like Rougned Odor, it extends beyond that point in either fall ball or winter ball, which basically leads up to about a month before spring training kicks off in Arizona. 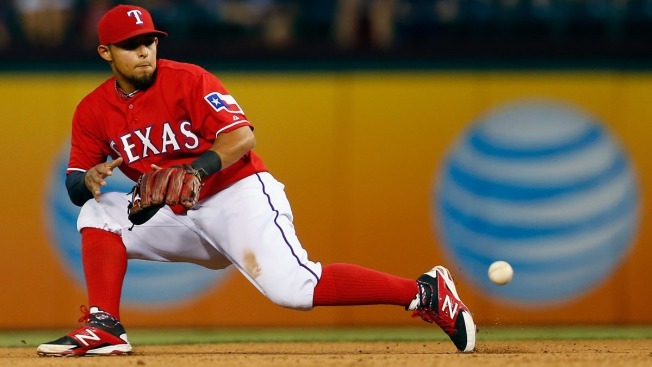 Odor has enjoyed a pretty great season at the plate for his Venezuelan winter league team, but over the past couple of weeks, his performance at the plate has faded dramatically and it's likely just a case of the 20-year-old Rangers second baseman needing a break. Odor is projected to be the Rangers' starting second baseman when the season begins in April, but right now all he's focused on is likely some time off. Odor is mired in a 7-for-41 slump and has seen his average drop 57 points to .295 in that time. His team is currently set for a playoff run, but he's expected to skip the postseason to get an extended break, according to The Dallas Morning News. Since opening the season with Double-A Frisco, Odor has played in 178 games and has 647 at-bats to his credit.